If you have a teenager living in your home, chances are good that you know that it is important for him/her to have a space that they can call their own. Most teenagers enjoy a sense of independence and identity that represents their personal image and their own style. In order to help you choose room colors that will make your teenager feel special, we have compiled a list of some ideas for you to consider when choosing a paint color for your teen. When combined with some complimentary furniture pieces, rugs, or other room décor, you can provide a place for your teen that will be enjoyed throughout these growing years. While providing a memorable place for your teenager to grow into a young adult, you are giving them a place where fond memories will be created and treasured. Most guys and girls will pair well with neutral wall colors, such as grays or tans. When deciding to use a neutral wall color, you can easily change the feel of the room with updated furniture, bed linens, or throw rugs. Neutral color choices make for an easy decision, especially if you plan to switch-up the interior décor of the room periodically. Pinks and purples have long been favorite color choices for teenage girls, especially. In order to give the room a more mature feeling, pink and purple rooms can be updated with interesting lighting fixtures or modern, geometric-shaped furniture. A pink or purple room that was once used for a little girl, can easily be turned into a teen girl’s favorite hangout. Oranges, blues, and greens are often favorites among the male population. There are many shades of these varying colors from which to choose. 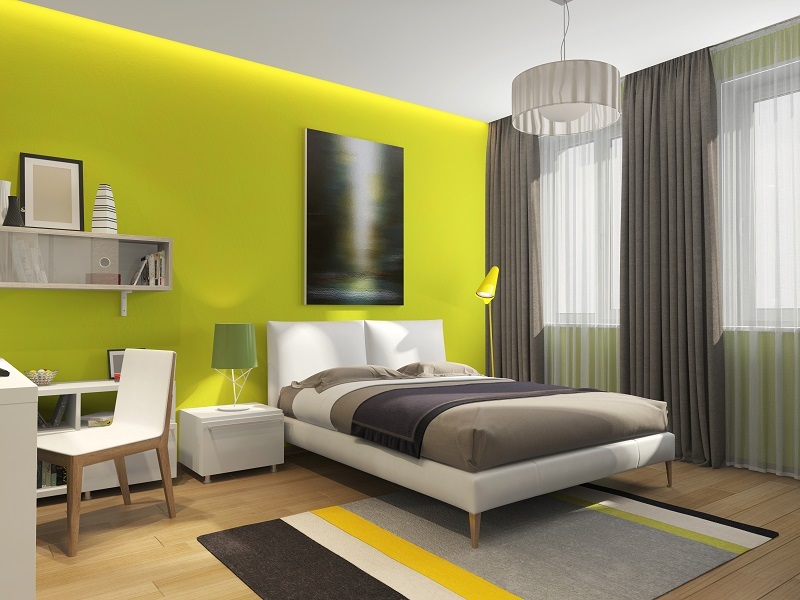 If you find one of these colors is too much for the entire bedroom, then accenting a wall with a vibrant orange, green, or bright blue, can create a fun and inviting space for your teen to spend his time. The color varieties that are available for painting your teenager’s room are bountiful. Consider your own child thoughtfully, as you decide which color will best suite their personal taste and their style of living. We can help create your teenager’s sanctuary! Feel free to contact us at Noel Painting.